Welcome to the Best Office Furniture in Richmond! We Get New Items All The Time! We have a great selection of used and new office furniture right here in Richmond. We also carry used cubicles that we can refurbish to your exact specifications. Let our qualified professionals plan your office space for maximum productivity. 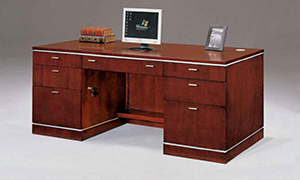 Used office furniture is the best way to get high quality office furniture at a reasonable price. Our showroom in Richmond, Virginia has used furniture of only the highest quality and condition. We offer new furniture from a variety of top quality manufacturers right here in Richmond, Virginia. You can choose from a large selection of traditional to contemporary lines. 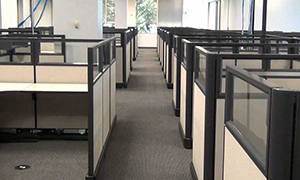 Richmond Office Interiors stocks the largest selection of used office cubicles in central Virginia. We offer space planning, and have a courteous and professional installation crew with over 35 years of experience. Our office space planning professionals can design an office plan to provide the highest office productivity and satisfaction. We have a large selection of used bookcases and shelves. We have Richmond's largest selection of high quality used office chairs. We only sell the highest quality new & used desks in top condition. We have a warehouse full of like-new used file cabinets and storage. We have a warehouse full of used office workstations and office cubicles. We offer a huge array of tables from side tables to conference tables. We sell office storage and security storage solutions. Our line of used office accessories are second to none in Richmond! 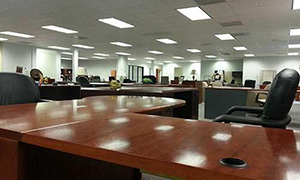 Richmond Office Interiors offers new and used office furniture including cubicles and workstations. We have a constant influx of used office furniture coming in. Included are office desks, chairs, stools, partitions, shelves, filing cabinets, and a host of other office-related items. Please feel free to stop by if you have any questions or call us. We are happy to help you equip your office today. 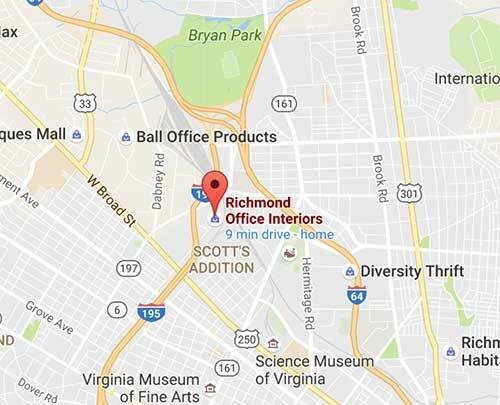 Richmond Office Interiors provides the highest quality pre-owned office furniture to our clients in Richmond and in surrounding areas. Our professional staff helps with every step of the process. We provide a streamlined, easy experience, and we consistently offer low prices, a wide selection, and expert advice personalized for your unique organization and your space's requirements. Our clients regularly achieve their office project objectives while saving significant time and money. Our furniture is sourced from large corporate and professional offices. We have served a number of high-profile clients in Virginia, Maryland, and North Carolina. We can provide excellent references from our satisfied repeat clients. We buy, transport, store, ship, and install office furniture in Virginia using experienced furniture professionals. To find out more, or for a consultation, please contact us today. Thank you for reviewing our site. We look forward to serving you.